We do not perform any type of mold repairs (remediation), which eliminates any conflict of interest. We have no vested interest in finding toxic mold that would require potentially expensive remediation. We do not perform any type of mold repairs(remediation), which eliminates any conflict of interest. We use state-of-the-art moisture detection equipment that can “see” an inch into virtually any building material, giving us a complete picture of any potential moisture problem. We use a 3rd party AIHA-accredited microbiology laboratory for the analysis of all samples. According to PhD microbiologists, this is the best method of optaining the highest accuracy compared to other companies that offer "on the spot" analysis (by less qualified individuals). Our turn around is fast and we typically will provide you with the Total Spore Count Analysis within 1-2 business days. This way you will quickly know the quantiy and type of all mold/fungal concentration within your indoor living or working environment. The most important objective for us, if a contamination is found, is to not only FIND THE SOURCE, but to also GIVE YOU SOLUTIONS to solving any potential indoor air quality problems. 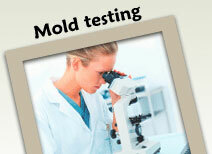 MiraMold only performs Industry Standard Toxic Mold Inspections, employing only Certified Mold Inspectors. MiraMold Inspectors have also obtained the highest accreditation with the American Industrial Hygiene Association, which is the most recognized organization for Occupational and Environmental Health and Safety. Our typical Certified Mold Inspection includes a visual inspection of the entire structure, and 3 or more Air Samples (based on the square footage of the building) to determine the quantity and type of mold present inside and outside of the structure (Total Spore Count Analysis). The air quality test performed outside is used for comparison purposes only. Determining the genus of mold is important because some types of mold are considered indicators of water damage and are potential health hazards. In general, a total spore count analysis is the best first approach to determine the overall health of your house or commercial building. An even more in depth analysis can be performed to determine the species of the mold by using two different tests: viable sampling and PCR testing. A PCR test identifies the species of mold using its DNA. This is typically done secondarily to a Total Spore Count Analysis, if the situation warrants it. Direct sampling can also be used on visible mold using swabs, tape lifts, and bulk. A Moisture Meter Measurement Test will be performed to detect any hidden moisture intrusion (behind walls or within building materials). Our Hygo-Thermometer + InfraRed Thermometer (with laser pointer) can test for indoor temperature and humidity conditions that are conducive to mold growth. Locations where we found elevated temperature and humidity readings. 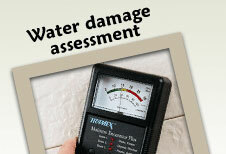 A MiraMold professional Mold assessment is your first step towards a healthy indoor environment! We are based out of Raleigh - Durham and Chapel Hill, but we service all cities in North Carolina and other select East Coast states.